The long-defunct Mercury Cafe was located at 1308 Pearl Street in the early 1980s. 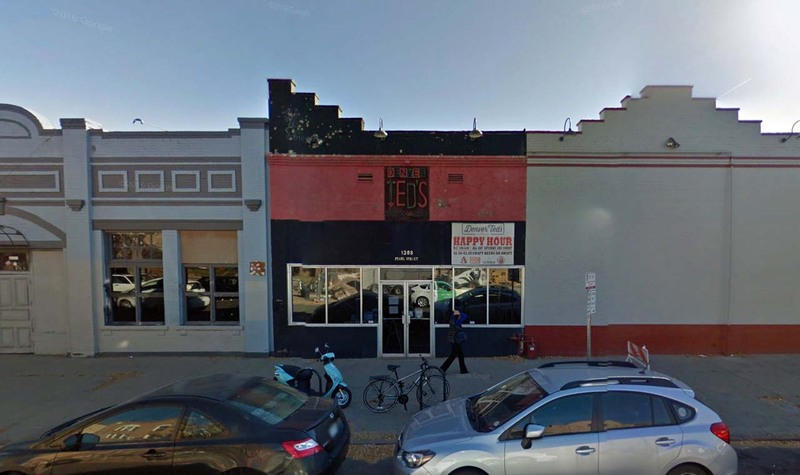 Streetview image is from 2016, when the site was occupied by Denver Ted's Restaurant. Hüsker Dü played the Mercury Cafe on 28 May 1982.